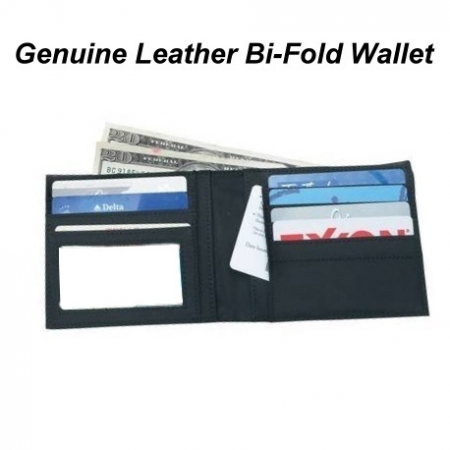 Mens Solid Genuine Leather Bifold Wallet. Fits easily into your front or back pocket. Space for credit cards license and bills. Measures 4"x43/4".